Participatory Video (PV) is a set of techniques to involve a group or community in shaping and creating their own film. The idea behind this is that making a video is easy and accessible, and is a great way of bringing people together to explore issues, voice concerns or simply to be creative and tell stories. For over 3 years, Kusamala has used PV as a tool to engage and empower hundreds of smallholder famers in Malawi. 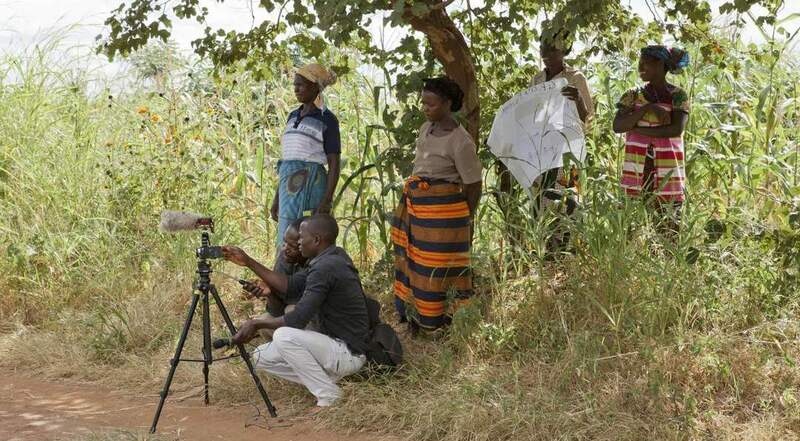 Using relatively inexpensive equipment, farmers create and edit videos that enable them to share their experiences and knowledge with others: from farmers in other communities to policy decision makers at the district and national levels. Through workshops, our expert trainers guide farmers in the video-making process, from storyboarding through editing, leaving the themes and subject matter of the videos in the hands of the farmers themselves. The medium of video allows for broad engagement as farmers can easily share knowledge and voice concerns no matter their education level, literacy, or gender. Additionally, the videos produced provide a unique qualitative method to monitor and evaluate a project’s success, as videos created at the start of a project can be compared with those created at the end, to determine how practices and perceptions may have changed over the course of the project.